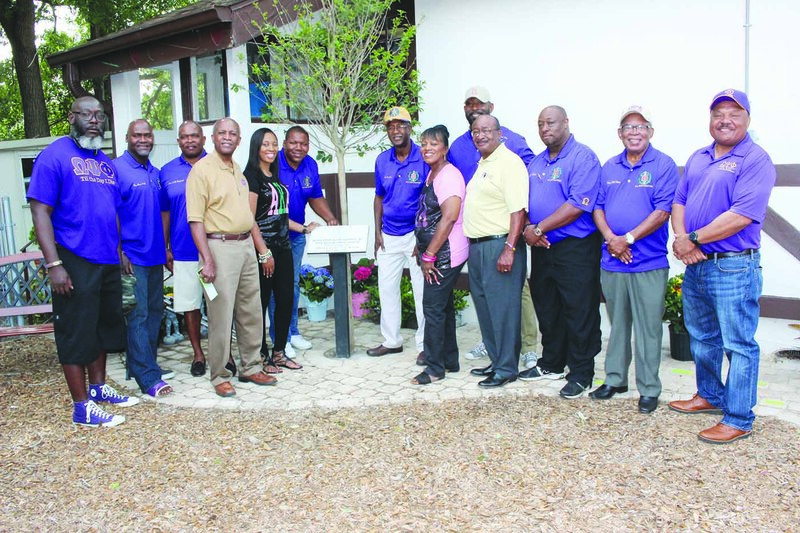 ST. PETERSBURG – This December will mark the sixth year of long-time educator Lew Williams’ unexpected death. Even though he may be gone, his legacy in the community continues on. 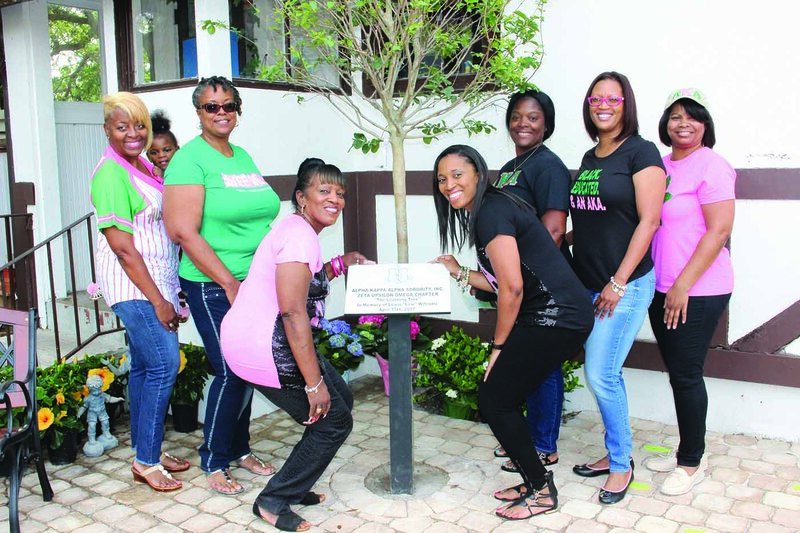 Saturday, April 15, the Environmental Ownership committee of the Zeta Upsilon Omega Chapter of Alpha Kappa Alpha Sorority, Inc. planted a “Learning Tree” on the playground of Kidz World Preschool and Learning Center in his honor. 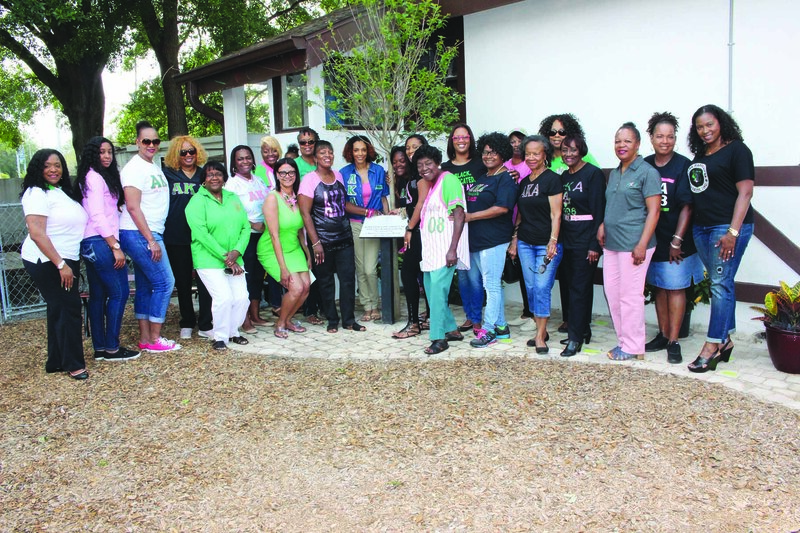 “We felt the Lew Williams Learning Tree aligned with the target imitative by promoting healthy reading, school readiness and overall comprehension skills,” said soror Delphinia Davis, who stated the committee promotes high impact programs that provide healthy environments and improve the quality of life in the community. Along with the tree, benches and a plaque were installed to make the Learning Tree and Literacy Area complete. 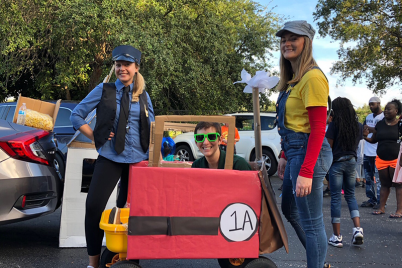 A retired principal and school superintendent, Williams was elected to the Pinellas County School board at the same time Terry Krassner, his former student, was elected. A staunch advocate for early childhood education, he and his wife Arthurene opened up Kidz World Preschool where the tree now grows. Arthurene explained that a lot of thought went into choosing the right tree to represent her husband. A lavender/purple crepe myrtle was chosen because it is a symbol of love and immortality. The color purple was chosen because of his love for his fraternity, Omega Psi Phi. “With each green leaf and each purple blossom, Lew will continue to live through his legacy, never to be forgotten,” said Arthurene. School Board member Rene Flowers said Williams did not take education lightly. 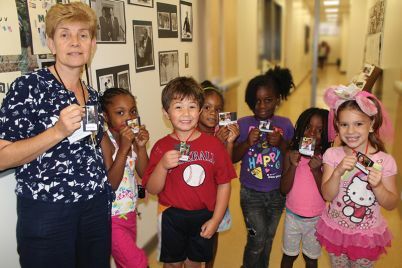 Opening Kidz World was a decision he and his wife made to help reach children early on in their educational career so that when they matriculated through the public school system, they would truly be ready. 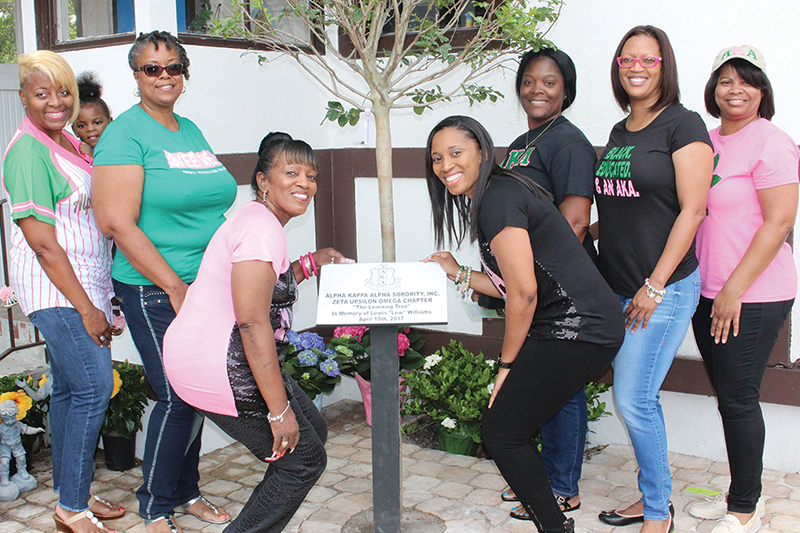 The Learning Tree and Literacy Area will serve as a functioning reminder of Williams’ legacy, dedication and passion for all children and their education. Etched pavers will soon bear the names of organizations and individuals who made the literacy area possible by their monetary contributions: Zeta Upsilon Omega Chapter of Alpha Kappa Alpha Sorority, Dr. Barbara Hires, Justin, Megan and Jai Hires, Watson Haynes, Vicky Portell, White Magnolia’s Nursery, Inc., Brandi, Brandon and Arthurene Williams. 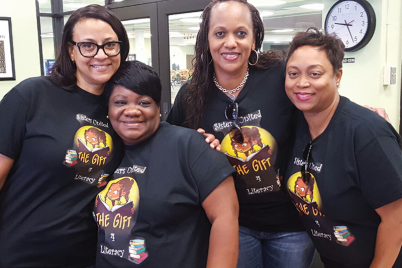 If you’d like to donate to the literacy area, please call Kidz World at (727) 322-6316.